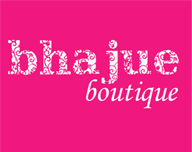 Bhajue Boutique: Bhajue @ Hap Seng! For those who missed out yesterday, we've got to tell you it was simply amazing. The bazaar had many traders (yes,some even have to be happy with no table and no chairs) and not forgetting the loveable shoppers who made the bazaar so lively.The venue offers ample space to walk around without feeling cramped.Air-conditioned and very comfortable,you wont realize its almost time to buka puasa! Some celebrities were spotted,but no pictures here though.So if you have no plan on this lazy Sunday be it morning or afternoon,just drop by Menara Hap Seng and check out some stuff that might interest you! 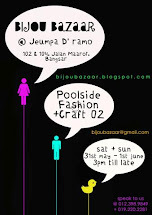 P/s : we have some more new items that are not available on the blogsite too!